It has been theorised that most diets will fail within the first week. Not only will most people fail at their diet, they actually have a higher chance of gaining weight after. I will be the first to admit, when I was younger I attempted to diet. Actually, let’s be 100% honest, I wouldn’t call it dieting in the slightest. Any time I’ve “dieted”, I’ve actually danced around an eating disorder. My version of dieting, extreme restriction with allocated binge days. Sounds totally healthy right? After I got diagnosed with my autoimmune disorder, I went to the other extreme. I followed the list of what most people can eat. This did not work for me for one big reason: NOT EVERY PERSON IS THE SAME. For example, most people with Crohn’s tend to be able to eat soy. It’s often encouraged to remove dairy entirely from your diet and substitute it with soy. Yea...no….Soy is a huge NO for me. I’m pretty sure smelling it causes my body to hate me. The body tends to rebel. I may be alone in this stance, and that’s ok. Whenever I try to diet or restrict what I’m eating, I begin to obsess with all the foods I cannot eat. Usually, my body tends to crave pretty healthy foods. In a sense, your body starts to go through a type of withdrawal which can often leave you lacking energy and moody. This tends to occur when we decide to restrict too much at once. 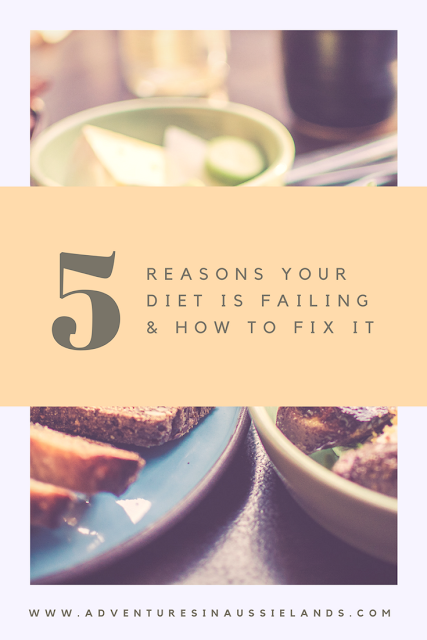 An easy way to fix this (if you are choosing to diet), slowly add changes and restrictions. Start the first week by cutting out fast food. The following week cut out soda. Continue to eliminate foods from your diet until you reach your goal. Eating foods, you do not like for the sake of them being healthy. I feel like I constantly hear people complain about how much they hate what they're eating when dieting. This seems like an obvious solution, but maybe DON’T EAT FOOD YOU DON’T LIKE. If you’re not enjoying the foods you’re eating, the chances are that diet is going to crash and burn fast. Social Pressure. In most cultures, social gatherings tend to revolve around food. 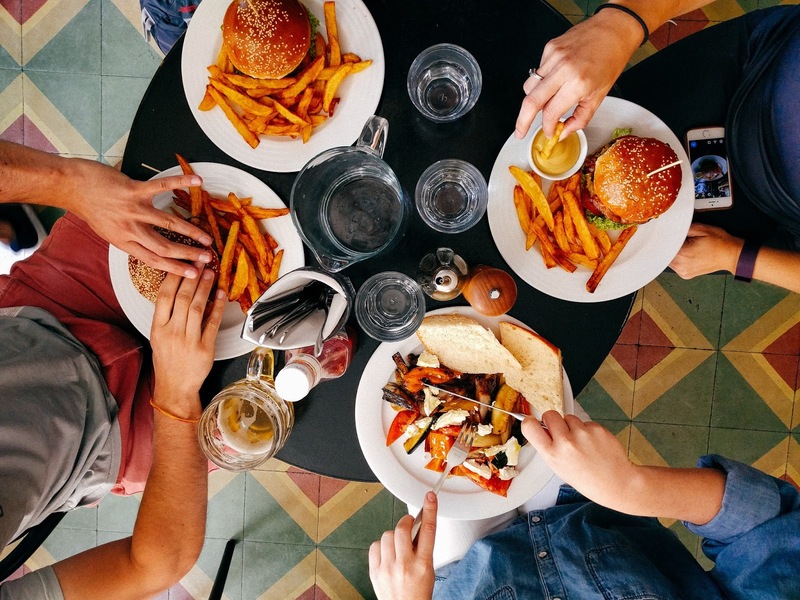 Whether it be nightly family dinners, catching a meal with friends, or going out for coffee on a first date, we tend to reward ourselves with food. When you’re on a diet, this social aspect of your life can be severely hindered. You may have all the self-restraint in the world, but eventually, you’ll be tempted to eat a few chips or have that small bite of cake. From there, it’s very likely that the diet will be destroyed and self-deprecation will set in leaving you feeling like a failure. The Mental Health Implications. 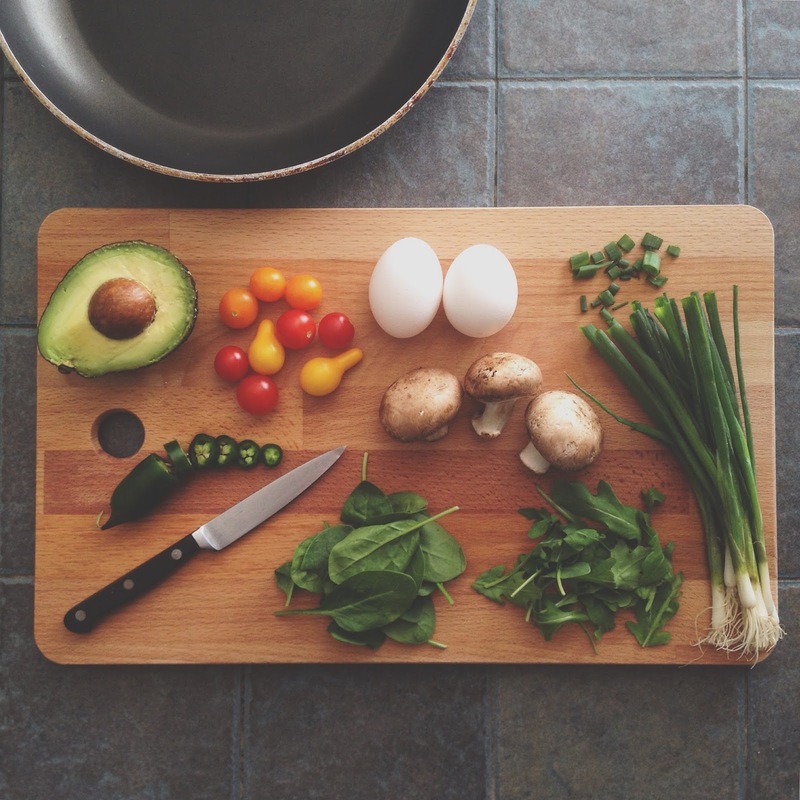 You may be asking yourself, “How can diets cause mental health issues?”. When most people diet, they restrict various things in their diet. They tend to make goals such as no fast food, no added sugars, and no soft drinks. But what happens when you slip up and have a ginger ale? Or when you forgot to grab your lunch one morning and needed to quickly run through a drive-thru? Chances are, you’re going to get upset and beat yourself up because you slipped up. One can often become incredibly frustrated or depressed because of this. Instead of setting goals for what you’re going to remove, you should focus on what you’re going to add. This way, even if you eat a little amount of the food or only go on a short walk, you’re going to feel accomplished and better about yourself. Unfortunately, western society has very much become influenced by instant gratification. We want access to everything immediately. This is where the appeal of certain diets come into play. We want to lose the weight now and fast. But the weight didn’t magically appear in one day did it? NO! It gradually accumulated. This is why it is important to make healthy, permanent lifestyle changes. It’s ok to eat healthy foods and occasionally have a burger. The world will not end because of it. What are your thoughts on diets? Have any diets have worked for you? Let us know in the comments below! I, too, have autoimmune issues so I eat a mostly Paleo/Whole 30 diet. I have a dairy intolerance so eating any kind of milk or cheese makes me sick. I only eat items that not only taste good, but make me feel good! I've tried Paleo/Whole 30 but it didn't work very well for me. My eating tolerance is fairly different from most people with Crohn's. I'm glad to hear that you've found something that works with you and your body and also tastes good! I think I was stuck in the same thing once upon a time. The body tends to rebel? That was totally the case for me. The more I tried to lose weight by dieting, the heavier I weighed. Some people have told me that my body was going into "starvation mode" that's why the weight gain. I've heard that before. When you restrict calories, you're body instinctually believes that there is no food available and converts all the food you eat into fat so that you will not starve. This is all so true! Dieting is the worst, but it tends to be because we're doing it wrong. We jump from being totally unhealthy to totally healthy in three seconds and expect immediate change. Recently, I started trying to be healthier because I was starting to notice my health going downhill. I started by drinking a TON more water, then a few weeks later I added some exercise, and soon I'm going to start trying to cut down on my carbs (talk to me again after I've done that and we'll see if I'm still so optimistic). It takes time to put a lifestyle change into effect because you have to do some trial and error to see what works for you, but I'm feeling so much better now that I'm not trying to take the easy way out! You're so right. Lifestyle changes take time and some trial and error. I hope the low carbs works for you! I struggled and had very minimal energy. I found by counting my macros I was able to find a happy balance of carbs and energy. I totally agree with you that what you eat may not work for someone else. I can't eat soy either. It really messed with my hormones. While I no longer "diet." I do cleanses which help me reset when I get off track a bit. I usually drop a few pounds and it's easier to continue eating healthy. I think it's super important that people find what works for them, even if it may contradict what others say. Find what works for your body and what makes you feel good. I've never heard of that book but I'll definitely check it out because it sounds like something I would enjoy! This is an awesome post! I totally agree about the mental health implications and beating yourself up for going off your diet. It's cheesy but I really believe in having a "lifestyle", not a diet. A diet is always going to end whereas a lifestyle is something you get a little better at every day! Me too! And oddly, I feel like referring to it as a lifestyle minimises the mental health implications if you do alter the foods you eat from time to time. You won't be upset that you had a slice of pizza or an extra beer because you know it's not your normal eating pattern. Whereas if it were a diet, you might be extremely harsh on yourself. I love that rule! 80/20 tends to be a good middle ground for myself as well. Weight has been a struggle for me, especially after a back injury and having two kids. Unhealthy food seems to be easier to prepare. For me, it's a matter of convincing myself that I want to be healthier. I've also found that the less healthy food options tend to be super cheap in the US. Since moving to Australia, I've noticed that "junk food" is sooo expensive in comparison to the foods that are fresher. I believe that the most important thing is to find what works for you and your body. Diets have never worked for me. I can't stand being restricted in any way and I rebel against it almost immediately. Even though I know it's for my own good. I need to loose quite a few pounds and I know I need to cut out fats and sugars but they are the things I constantly crave. And I have no will power to resist. :( Help me Obi Wan Kenobi! I'm right there with you. I obsess any time I tell myself I shouldn't eat certain foods. Great post! You made a good point about the weight taking longer than a day to come on. I don't really believe in diets. I always say, "Everything in moderation." I'm very sorry to hear you have crohn's. Two of my close friends have this disease and I know it can be hard, especially always watching your food intake. It sounds like you have a attitude. I'm wishing you good health. Everything in moderation should be the motto to live by! No need to feel bad. Compared to most, my Crohn's is quite mild so I really don't have much to complain about. This is so wonderful! I have this discussion with a coworker and will show her this article. You break it down beautifully! I do tell her - if you stop through Wendy's once a week that is not a problem, its when you do it every day. Take things slow and easy. I love that you talk about "do not force yourself to eat things you do not like" as that is the major thing I hear all the time. Thank you for a wonderful insight into "dieting"
I'm glad you enjoyed this! OMG but you did make me remember how much I miss Wendy's! I agree that everyone should do what works for them. For instance I always try to put on some weight so I have never been on a diet before. I've been in the same boat before. Diets don't always equate to weight loss. I have a few friends that do body building competitions and their "diet" consists of an obscene amount of food. But I've noticed their food prior to the competition is too restrict and still incredibly unhealthy (even with all the healthy food they're eating). I agree with all of this! I am so awful at "dieting". I am still trying to find my happy medium. These ingredients works together to facilitate a fast rate of weight loss. how to buy guide i am not sure how it can helps.. Any suggestions?? ?